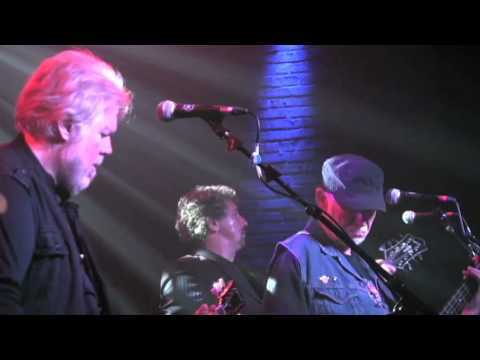 After reuniting for the first time in more than 20 years, Randy Bachman and Fred Turner - musicians at the heart of legendary band Bachman-Turner Overdrive - continue to thrill fans around the world with their power-driven tunes. The Masters of Rock are back on the road this summer as full-throttle rock machine: Bachman & Turner. The duo's eponymous studio album - the first in over two decades - was released on E1 Music (Canada) and Eagle Rock Entertainment (U.S. / Europe). The record is stocked with all original new tracks penned by the pair. In addition to "Rollin' Along," the album's anthems include "Rock and Roll Is the Only Way Out" and "Moonlight Rider," which have a sound that seamlessly fits alongside Bachman-Turner Overdrive classics "Takin' Care of Business" and "You Ain't Seen Nothin' Yet." In between their cross-Atlantic jaunts, Bachman & Turner met up with special guest Paul Shaffer to tape an electric performance at New York's Roseland Ballroom. The live concert special, shot in both HD and 3D, was certified gold only three weeks after its Canadian release, the retail DVD and CD/DVD configuration is now available throughout U.S. and Europe. "I'm thrilled to be working on new music with Fred, and I feel a sense of excitement and anticipation," says Randy Bachman. "I feel like I'm coming full circle, with a completeness that I never ever thought I'd feel again." 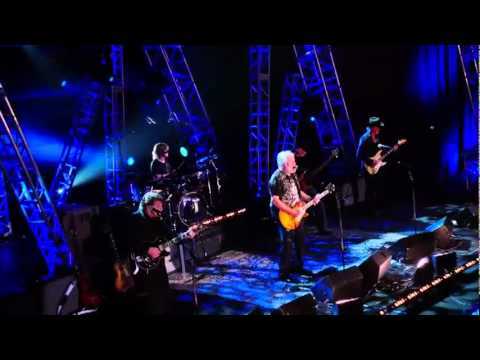 In the mid-'70s, Randy Bachman earned his first colossal success with Winnipeg rock band The Guess Who, when their hit "American Woman" scored the #1 spot on the Billboard charts, a first for any Canadian act. He soared even further with Fred Turner in Bachman-Turner Overdrive, which became a musical phenomenon with extraordinary global success. 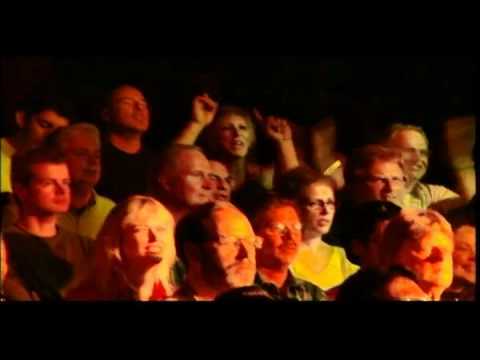 At the pinnacle of their career, the band's distinctive brand of stripped-down, blue collar, meat 'n' potatoes rock headlined some of the biggest arenas in the world- from New York's Madison Square Garden and London's Hammersmith Odeon, to Hamburg's Congress Centrum and the Falkoner Centret in Copenhagen. Over the course of a four-year run, Bachman-Turner Overdrive sold in excess of 30 million records, earning a staggering 120 platinum, gold and silver discs, and notching up hits in more than 20 countries. The band reached #1 on Billboard's singles chart ("You Ain't Seen Nothing Yet") and album chart (Not Fragile), as well as scoring another handful of hits including "Taking Care of Business," "Hey You," "My Wheels Won't Turn" and "Looking Out for #1." 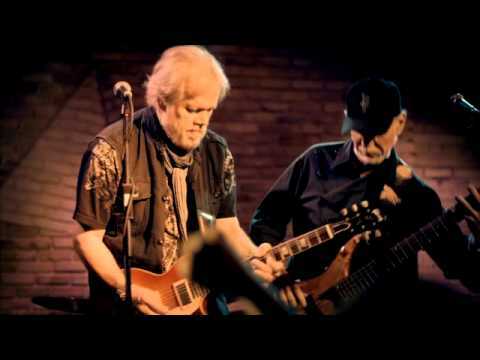 When the two stars went their separate ways in 1977, Randy Bachman continued to pursue his unwavering love for music as a solo artist, as well as being part of the much-celebrated Guess Who reunion, then Bachman-Cummings, and subsequently establishing himself as a jazz artist and host of the CBC and Sirius radio show, Randy Bachman's Vinyl Tap. Meanwhile, Fred Turner carried on with the other members of Bachman-Turner Overdrive, before retiring from music at the end of the '90s to indulge his passion for cars. But the two had lingering feelings, which persisted for over a decade that they weren't done just yet. Then last year, Bachman was working on a solo album, for which he intended to invite different vocalists. He first asked Turner to sing on a track called "Rock 'n' Roll is the Only Way Out." "It was perfect for his gritty, refrigerator-sized voice," explains Bachman. "It turned out so incredible, that I asked if he wanted to sing on a few more. He sent me some of his original material, and from that it morphed into a Bachman & Turner project." With the two singers sharing lead vocal duties, the album features smoking mid-tempo anthems such as "Rock 'N' Roll is the Only Way Out" and "Rollin' Along," as well as the funky riff of "Moonlight Rider" and a slow-burning blues shuffle, "Waiting Game." In addition, tracks like "Slave to the Rhythm" offer a gratifying fusion of chords with catchy choruses, not to mention the distinctive growling vocals familiar to fans from Bachman-Turner Overdrive classics such as "Let it Ride" and "Roll on Down the Highway." Bachman & Turner will soon hit the road together, performing their vast catalogue of hits and a selection of songs from the new album. After all, the latter tunes were ultimately all Fred Turner needed to come out of retirement. "If I have a chance to go out and play new things and grow, then I'll really be offering people something," explains Fred Turner. "It's all about the music, the creative process, the collaboration and teamwork of two old friends and partners." Their highly anticipated return was met with warm accolades including the duo's induction into the Canadian Music and Broadcast Industry Hall of Fame, and Randy Bachman's "Global Impact" honour at the ASCAP Awards. 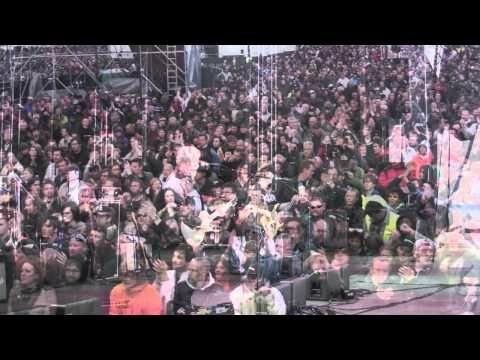 Bachman & Turner's world debut occurred at the 2010 Sweden Rock Festival alongside some of their contemporaries including Aerosmith and Guns N' Roses. Earlier this year, the band hopped onboard Rock Legends Cruise II with old friends Paul Rodgers and Blue Oyster Cult, among other great artists, for a rock-themed benefit voyage. But the rock never stops there, Bachman & Turner recently toured New Zealand with Pat Benatar and America, where they played for festival crowds of up to 18,000 each day. Bachman & Turner are backed by journeymen musicians Brent Howard, Marc LaFrance and Mick Dalla-Vee, who themselves have been performing together for more than 20 years. Reunited, Bachman & Turner are offering their legions of fans something new, and taking care of some "unfinished" business.